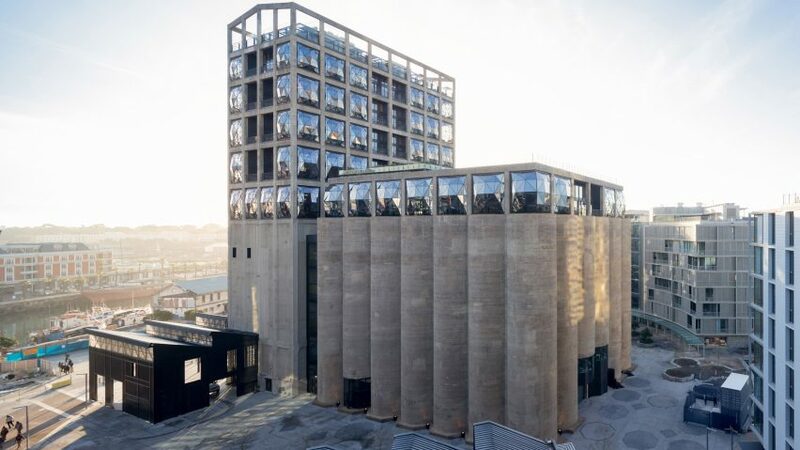 Heatherwick Studio's grain silo art gallery, Zaha Hadid Architects' Riyadh research centre and Kieran Timberlake's US Embassy have all been shortlisted for awards at this year's World Architecture Festival. World Architecture Festival (WAF) is an annual celebration of global architecture that sees practices around the world compete for the title of World Building of the Year. The WAF 2018 shortlist includes a house perched on the edge of a peninsula near São Paulo, a mosque without a minaret in Iran, and a moulded concrete cinema in Galway. Dorte Mandrup's coastal visitor centre is also on the shortlist, along with Plano Humano Arquitectos' Portuguese chapel and Kimmel Eshkalot Architects spiralling memorial building. For the first time in its 11-year history WAF will be held in Amsterdam, having been hosted in Barcelona, Singapore and Berlin previously. There are 536 architectural works on the shortlist, divided into categories depending on their purpose and whether they are completed or a future project. WAF will be held 28-30 November, when the winners from each category will be announced. Category winners will then compete to be crowned World Building of the Year, or if they are still at the conceptual stage, Future Project of the Year. This year the "super jury", who decide on the World Building of the Year, is to be chaired by director and co-founder of Dutch practice MVRDV Nathalie de Vries. "This has been a terrific year for the WAF Awards, reaching our largest entry total to date. This has not resulted in any decrease in quality, if anything the opposite," said WAF programme director Paul Finch. "It has been extremely gratifying to review entries from more than 81 different countries and note the way in which architects are absorbing lessons from contemporaries across the world." This year Chinese practices entered more projects than any other country, up 76 per cent from last year. Australia fielded the second most submissions, and there were sizeable numbers from Hong Kong and Singapore reflecting the the high levels of development currently being seen across the region. The UK came third for number of entries submitted, with Turkey ranking fourth and a record number of Dutch projects entered, most likely due to the profile boost afforded by the choice of host country this year. Last year the Chinese University of Hong Kong's post-earthquake reconstruction of Guangming Village was crowned 2017 World Building of the Year, and Allen Jack + Cottier Architects' Sydney Fish Markets was named Future Project of the Year, although the project will now be realised by Copenhagen-based 3XN. Past winners have included a subterranean museum in Poland, a vertical village by Ole Scheeren, and Frances-Jones Morehen Thorp's Auckland Art Gallery. › FOMO, Fremantle, Australia, by HDR Inc.